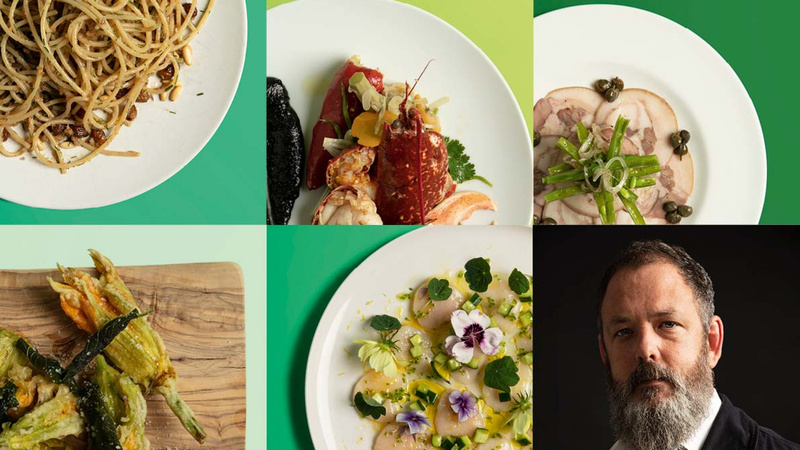 All great food stories start somewhere, and Damian Clisby's begins early in the morning. As a little boy, he'd come down the stairs at his grandfather's farm in Ireland to the sight of huge pots bubbling away, his grandfather standing at the stove, mopping up the fat and juices of a rump steak with a slice of bread – real, homely stuff. 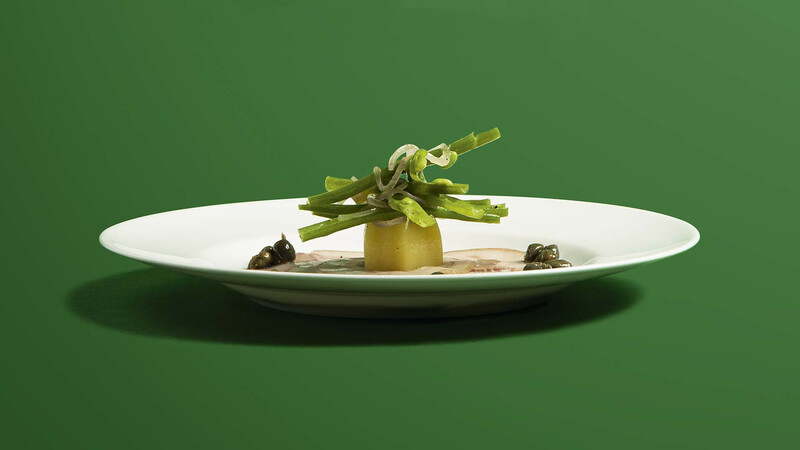 For Clisby, food should be just that: real, homely, and "a catalyst to bring people together." And it's this kind of philosophy he's been able to develop at Petersham Nurseries, where he's worked since 2014. 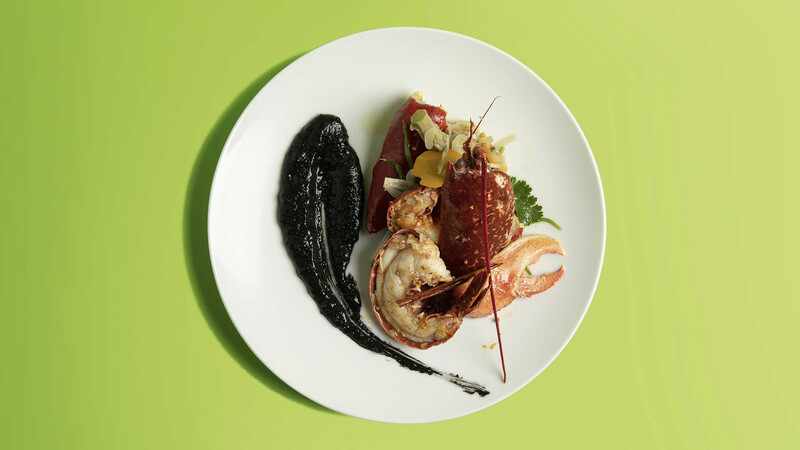 First at the original Richmond site, and more recently at two new restaurants The Petersham and La Goccia in Covent Garden's Floral Court, Clisby has prided himself on simplicity, seasonality and working with great produce with "real integrity behind it". But it hasn't always been that way. "I look back 15 or 20 years," says Clisby, "and there was never any conversation about 'do you really need to throw that away? ', 'what can we do with that off-cut?' or, 'do you really need to wrap that container in cling film 42 times?'" In those 15 to 20 years, though, attitudes and appetites in London have changed. Petersham Nurseries has opened its doors, too, first headed up by Slow Food pioneer Skye Gyngell and now run by Clisby, taking it from a once-decrepit site in the grounds of a Richmond manor to one of the best loved restaurants in London, and a place where clingfilm is no longer welcome. A lot of the produce Clisby cooks comes from those very gardens in Richmond, as well as Haye Farm in Devon, which is run by Harry Boglione, the son of Petersham's owners. 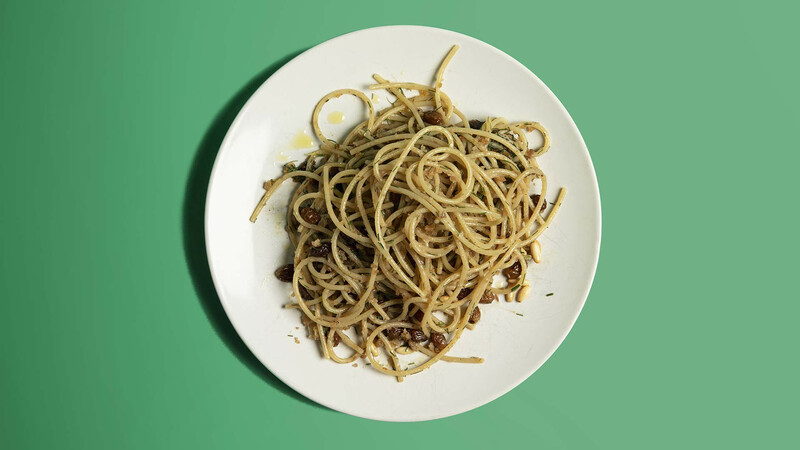 Such a close working relationship means the two have been able to develop a very specific set of seasonal ingredients that work for Petersham's menus, from pork and chicken to bull's heart tomatoes and eggs for fresh pasta. And that's what you'll see in his career-defining dishes: a journey that's become more and more about leaning on good produce, and in his own words "doing as little as you need to do to highlight its quality." 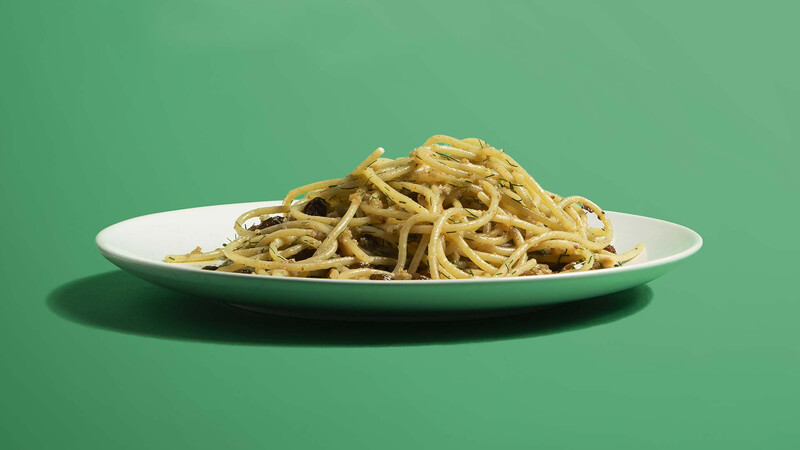 This dish reminds me of a trip I went on to Catania in Sicily with my girlfriend. It's simple, but you can see exactly how it's all come together: the ingredients sourced from around the region, the balance of the sweetness and saltiness. For me, it's one of the standout dishes I've eaten while travelling. I've been so fortunate to travel with my job. You have to travel to see what's out there, to provoke your imagination and to understand different cultures. If you look at the traditions of cooking, it translates differently all the way around the world, but it's always a great catalyst to bring people together. I had such a wonderful time cooking at Putney Bridge with Anthony Demetre. 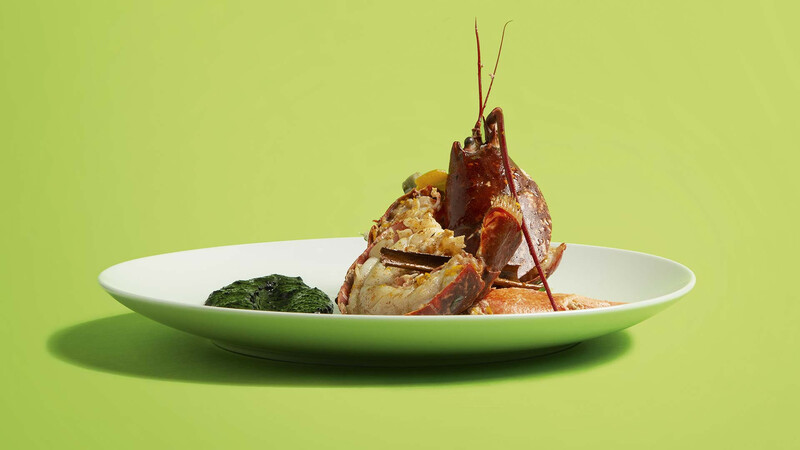 This dish, with the ink polenta; the lobster roasted with butter, cinnamon, star anise and lemon thyme; the artichokes barigoule – I just remember the hard work that we put in and the camaraderie we had. Moving from this dish to where I am now shows progression: this is wonderful cooking, but it's too complicated for the way I like to cook now. It's a reflection of a different journey. We used to plate this dish on a square glass plate, but I couldn't bring myself to do that today, I think that’s another expression of the journey. Working at Thyme with Adam Byatt [now of Trinity] is undoubtedly the best time I've had cooking, and this dish evokes so many memories of working with brilliant people. It takes me right back to being in the kitchen at midnight after service, rolling the pig's head. It was so simple: we just slow cooked the heads, then rolled them into a galantine before chilling them, slicing them thinly and serving them with a slow-cooked potato, green bean and shallot salad and a few capers. 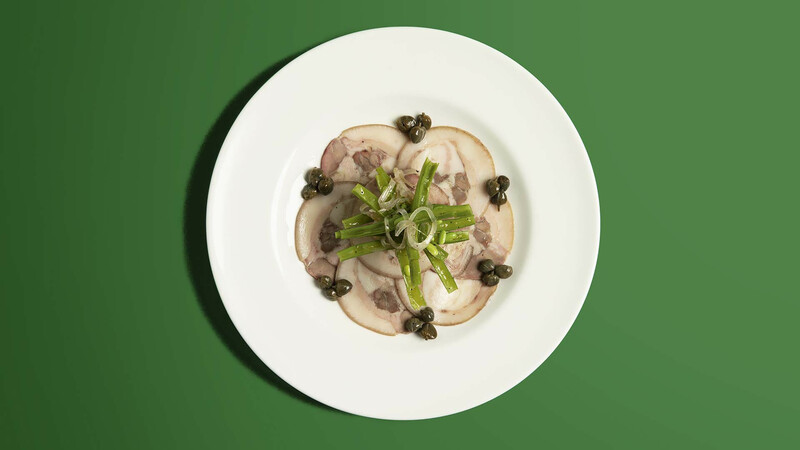 The saltiness and acidity of the capers worked wonderfully with the fat of the pig's head. At Thyme, I started to learn more about using everything in its entirety. Some people turn their nose up at pig's head, but it has such a wonderful flavour. 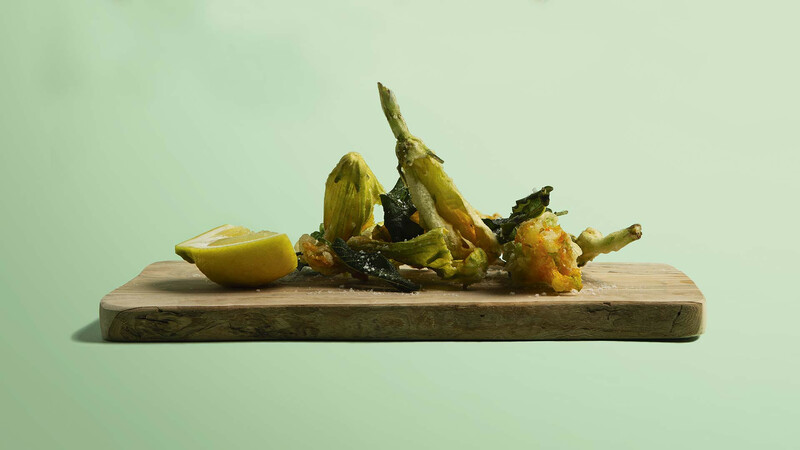 This dish is a stalwart of Petersham Nurseries and a favourite of the Boglione family who own it. 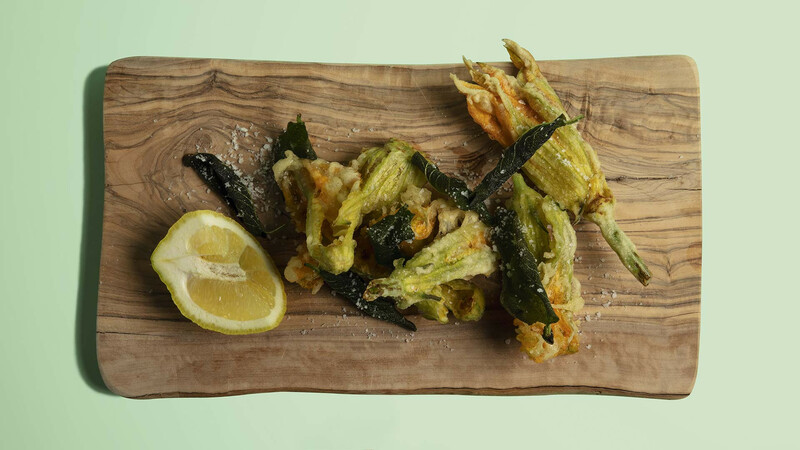 It's been on the menu in Richmond for about six years, but Francesco Boglione has often told me stories about how he used to eat zucchini flowers cooked like this when he was a child in Italy, and he turned 71 this year. 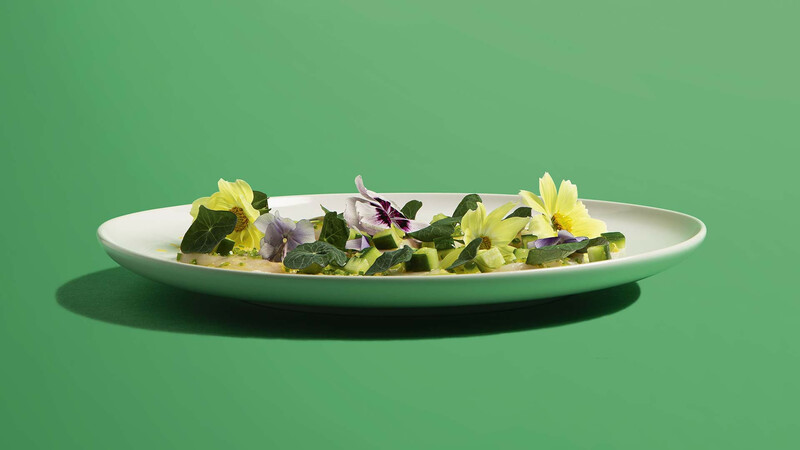 We serve this at both of the restaurants in Covent Garden, but it's a dish that really epitomises the approach to food at Petersham Nurseries: the chefs can go out into the garden and pick the flowers in the morning, before deep frying them and giving them a good squeeze of lemon juice and a scattering of sage leaves. It's a great little appetiser at the start of a meal, but it's also really elegant and full of heritage. We came up with this dish one morning when we had a wonderful delivery of scallops. 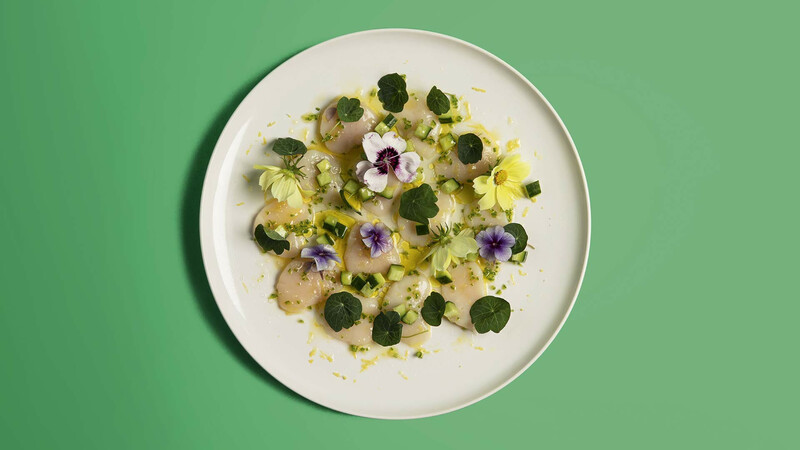 By 10am we hadn't worked out what we were going to do with them, so we picked some nasturtium flowers from the garden because they were fiery, and that would work perfectly with the sweetness of the raw scallop. Then we added a little bit of cucumber from the farm, as well as some green chilli, and then Zisola olive oil from the estate we work with in Sicily. It's a wonderful balance of flavours, and another dish inspired by the gardens of the Nurseries.